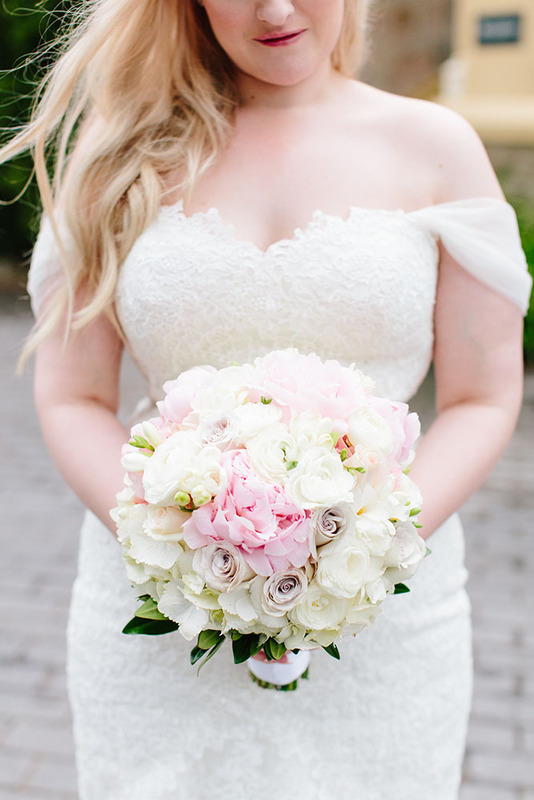 This bridal style is simple, elegant and timeless. 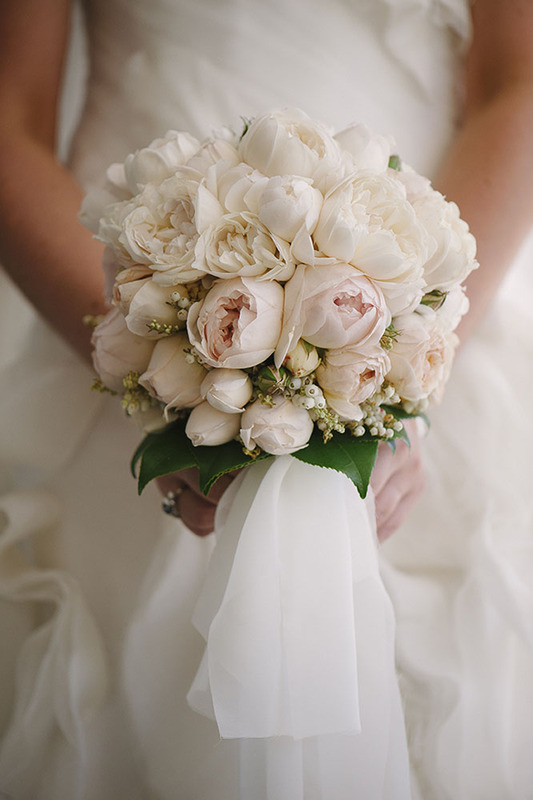 Classic green and white flowers sometimes with subtle hues of pale pink or peach. Paired exquisitely with white and black or navy styling. 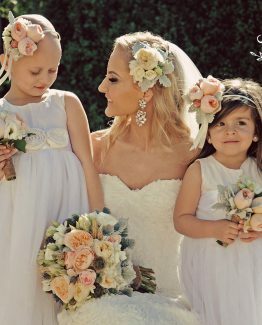 Bouquets are beautifully formed round domes full of pretty petals and table centerpieces are either one or just a few flower varieties en mass. 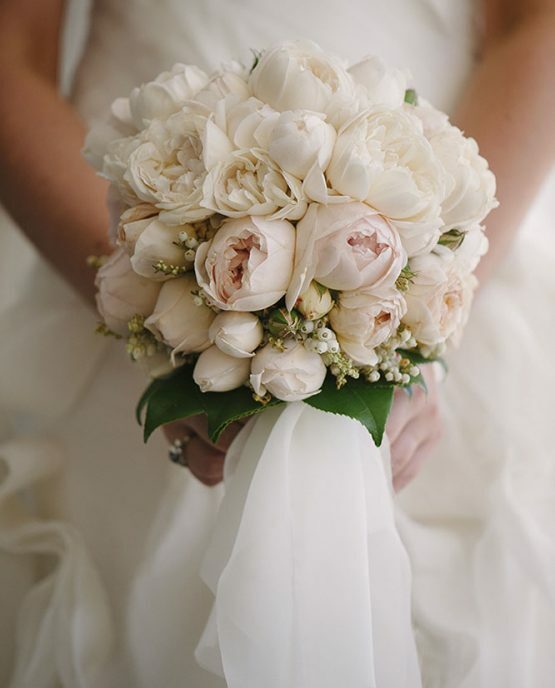 Think classic blooms, David Austin roses, lisianthus, freesias, peonies, hydrangea and ranunculi. Perfectly matched to venues such as galleries or restaurants. 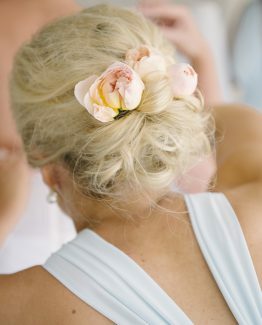 Classic inspired floral design is a style that will never go out of fashion. 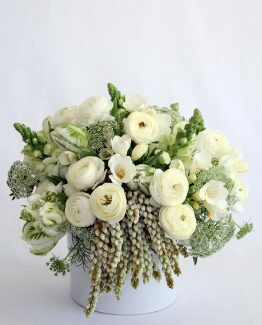 A fresh quality wedding flower classic bridal bouquet, for you, the bride! 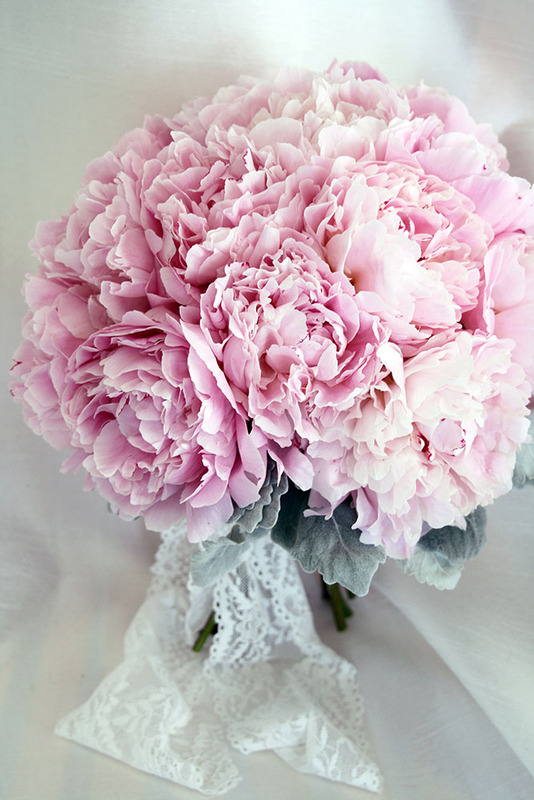 Delivered to your door by The White Orchid Floral Design, with your choice of size, flower varieties, colours and even ribbon to finish. Quick and easy, just order online below. 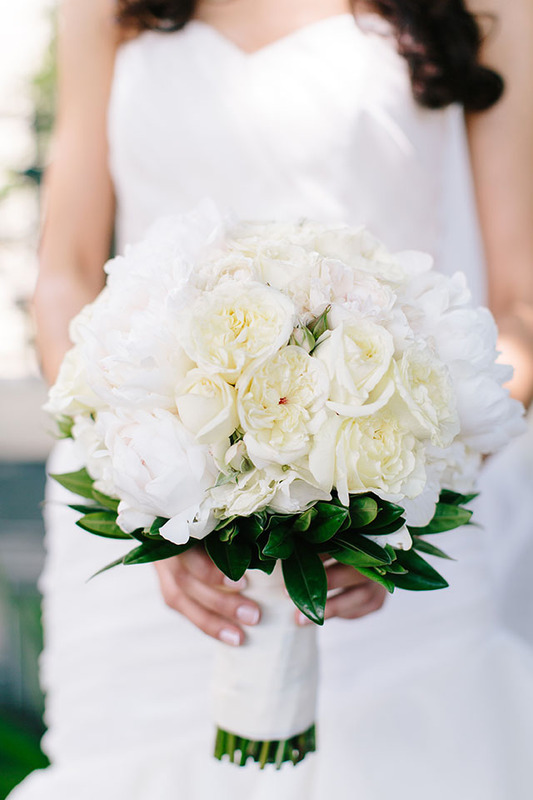 Brides Choice includes a mix of premium blooms. 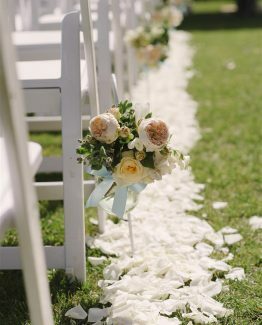 For example peonies, David Austin roses, premium large roses, hydrangea, dahlias, orchids etc (subject to seasonal availability). Seasonal Florist Choice includes a mix of seasonal blooms. For example standard roses, lisianthus, snapdragons, ranunculi, gypsophila, spray roses, carnations etc (subject to seasonal availability). 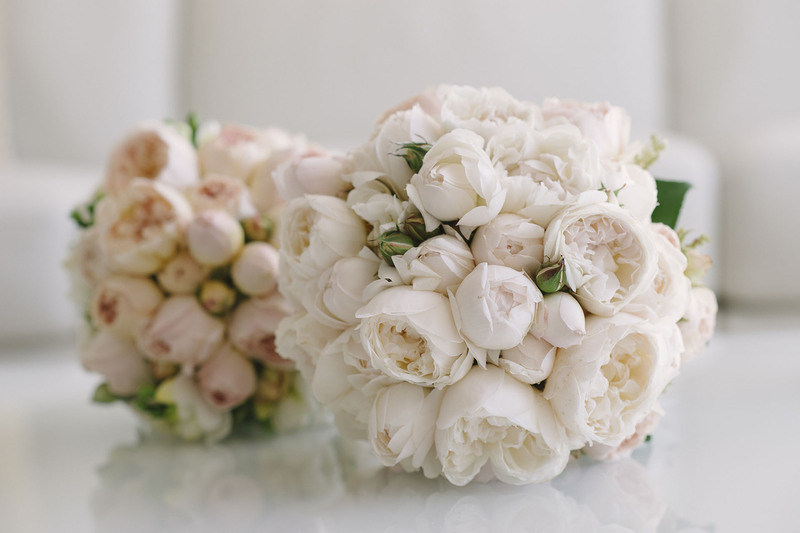 If there is a particular bouquet from The White Orchid Gallery that you specifically would like, please reference it by selecting the name of the bouquet from the list below. 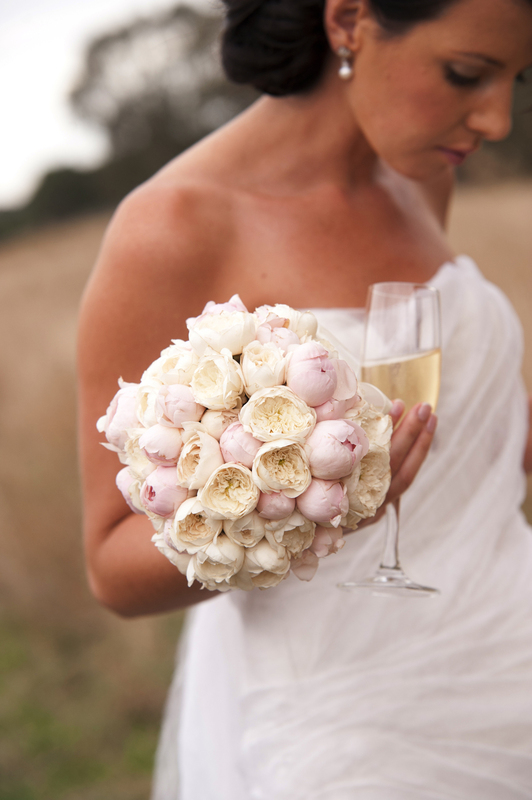 Alternatively, you can upload your own inspirational image of the bridal bouquet that you love. 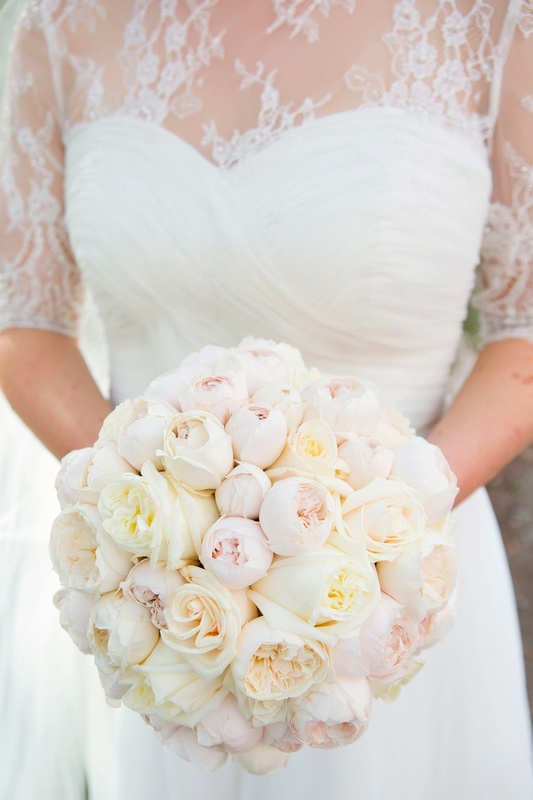 Upload your own inspirational image of the bridal bouquet that you love.